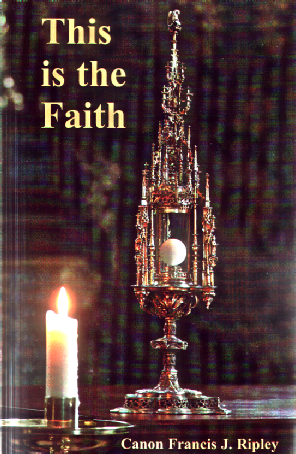 A long established introduction to the faith and teaching of the Catholic Church now reprinted in the 1973 edition Canon Ripley himself revised for publication. Author of many much loved books, This is the Faith is one for which he is particularly remembered and it stands as a memorial to his lifelong missionary work. Based on a series of twice-weekly talks given many times for non-Catholics under the auspices of the Legion of Mary, the book remains a safe and sure guide for instruction.